Northampton-East High School head coach Jeff Ramsey recommended his player for a 2010 regional award for his defense. His player, Trevon Daye, was cited by his coach for his work-ethic to improve that aspect of his game, according to The Roanoke-Chowan News-Herald. "Trayvon really works hard on defense," Ramsey told The News-Herald that March. "He gives you everything you can ask for." Ramsey spoke as the school's basketball coach. Years earlier, though, it was Ramsey who worked on his defense, and offense as a Northampton-East player himself. One of the sports he played, was a different sport, baseball. In that other sport, Ramsey played a brief career as a professional, three seasons. He made it to single-A, and apparently to Mexico. But he never made it higher. Ramsey's professional career began in 1988, taken by the Expos in the 51st round of the June draft, out of Northampton-East High School in North Carolina. Ramsey is credited with starting his career not in the United States, but in Mexico. His Baseball-Reference page lists him as playing with the Mexico City Tigers, though it gives no stats. His ProCards card and The Baseball Cube do not include any reference to professional time in 1988. 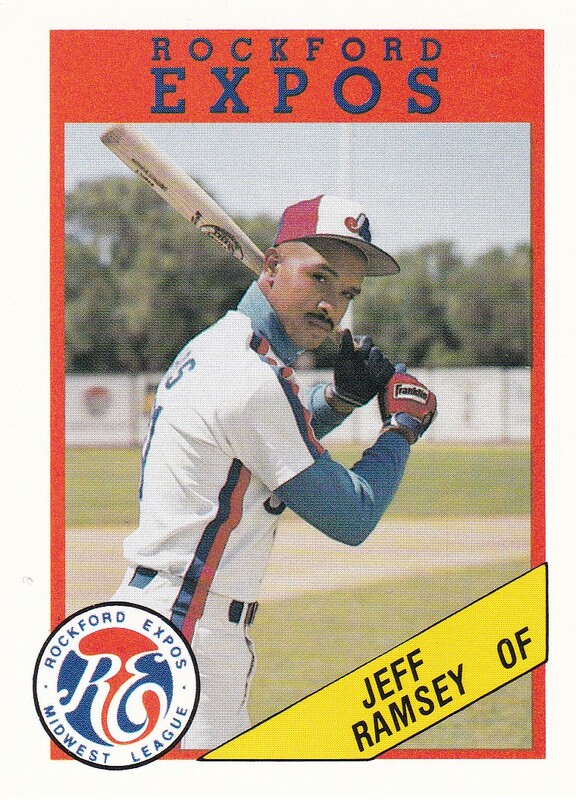 He returned stateside for 1989, playing in the rookie Gulf Coast League. He got into 60 games there, hitting .234. He also hit three home runs and knocked in 24. For 1990, Ramsey moved to single-A Rockford. In 48 games, though, he hit just .159 and knocked in just three runs. It was the final season of his brief career. Ramsey went on to be a coach. In 2007, he returned to his old high school, Northampton-East to coach basketball, according to The Roanoke Rapids Daily Herald.